Another 60s worshipping band, this one looking to the psych whimsy of Syd Barrett with occasional detours into twanging, wired surf rock which would be at home sound-tracking any Tarantino film. 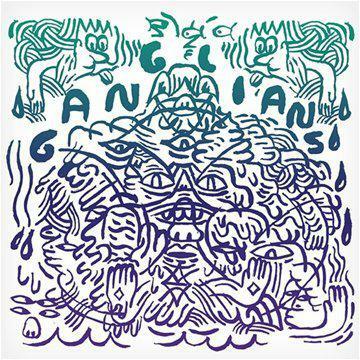 Yessir, it's apparently all potent, mind-warping psychedelics and Hawaiian shirts round Ganglians' way (which happens to be Sacramento). Monster Head Room, a speedy follow-up to last year's self-titled mini-album, is resolutely summery, even when it has to stare at its hand for a couple of hours to stop the fear taking over. Mid-album Barrett-indebted sleepy folk number 'To June' even features the sound of buzzing crickets, woodpeckers and whistling. Get it? Summer. Elsewhere, Ganglians have a twee old time of it. Single 'Candy Girl' sounds like The Beach Boys covering 'Yellow Submarine' and threatens to drown the listener in syrupy, smiley good time vibes. Tracks like 'Lost Words' and 'Modern African Queen' stumble by amiably on their way to somewhere with snacks and a TV. 'The Void' meanwhile, is a meandering acoustic downer which descends into a bargain bin freak out. Full of hysterically wailing voices, it sounds like a joke that shouldn't have made the final cut. Only the nervy post-punk of 'Blood on the Sand' breaks the mould, but even that descends into twanging surf guitar clichÃƒÂ©. You're left waiting for Ganglians to do something surprising or out of the ordinary but it doesn't happen. They just seem content to recreate their favourite bits of 60s pop culture in a suspiciously calculated way. They might sound pretty cool, but I bet Ganglians don't inhale.